My name is Travis, founder of Self-Defense Innovations, Inc. I have spent most my life involved in the martial arts and fitness. Through the years i have earned my share of black belts however as an adult i have realized that martial arts hasn't evolved enough to be an effective self-defense system. 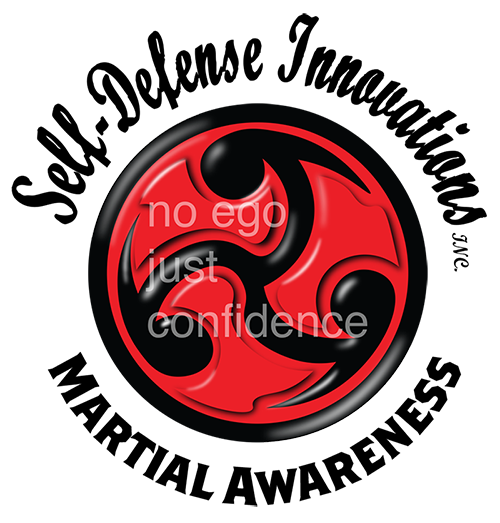 Being involved with the martial arts and self-defense i have learned that ego is, indeed, your worst enemy.My knowledge doesn't stop at the martial arts, I have also spent years working in the psych and mental health field and have worked for some of the biggest psychiatric hospitals in Maine creating a safe environment for patients and staff . While working in the psych and mental health field, I've had the opportunity to study many individuals and their behaviors/actions and how to they are in different situations. Good, bad or indifferent, the human mind dictates what the body does. I have taken my experience in psych and mental health along with the martial arts and created a new effective self-defense and fitness system that has helped many of individuals. What use to work as self-defense 20 years ago may not work now. Society has changed and so should how we defend ourselves. Everything must evolve to stay relevant and current or be deemed ineffective. Self-defense in no different. Self-defense is 20% physical and 80% mental. Earle has worked 16 plus years in the mental health and psych field. He started training under Travis's instructions for self defense & fitness many years ago. He started his training to sharpen his skills and to learn more effective techniques and knowledge. Now he would like to extend that offer on to you. Remember you are your own limit. Bill studied karate for three years as a teenager, at a "traditional" martial arts school. He has worked in mental health services for over 10 years, and has been certified in many different professional aggression management courses. He has been training with Travis and Earle at Self-Defense Innovations for over three years, in both the self-defense and martial fitness programs, and has learned more about the psychology and practice of self-defense in that time than from all of his previous experience combined. Though he is the newest addition to the Self-Defense Innovations team, he is as committed to the progress and success of our clients as Travis and Earle. I am a Licensed Clinical Professional Counselor (LCPC) with a master’s degree in Mental Health Counseling. I have been working as a counselor for over four years with children, families, couples, and adults. I have specialized training and experience working with people who have experienced trauma to help them heal the pain from their past and improve their lives. I provide individual and family therapy for those seeking to increase their overall wellness. I believe mental health counseling can be an important component in creating lasting change. I strive to build a therapeutic relationship that allows clients to connect to their own internal source of inspiration and empowerment. To grow beyond what they thought was possible. Every once in a while, you need to re-evaluate yourself and then decide that it is time to reinvent yourself into a safer, healthier you. We can help.